Strange appearances in the sky continue. The video below shows some of these strange sky phenomena that have been photographed in the past few days. One person captured a strange cloud formation that looks like a cityscape’ a phenomenon that has been photographed before and looks like a hologram. 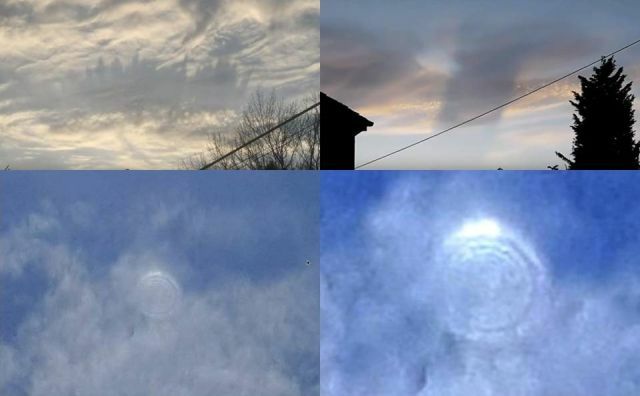 Another person caught an odd black rectangular sky beam with a bluish oval ring on top and a third person has photographed something that most closely resembles a ring-shaped disk or portal. Is this ring-shaped disk a cloaked UFO or military craft that uses military cloaking techniques or could it be a portal to another dimension?